The JNDC Studio Line shells are hand-selected for their superior vibrance, sonic balance, and incredible warmth. Similar to the Beacon Bronze, the Studio Line copper is a thinner shell in comparison to the copper Conquered and Studio Line bronze shells. 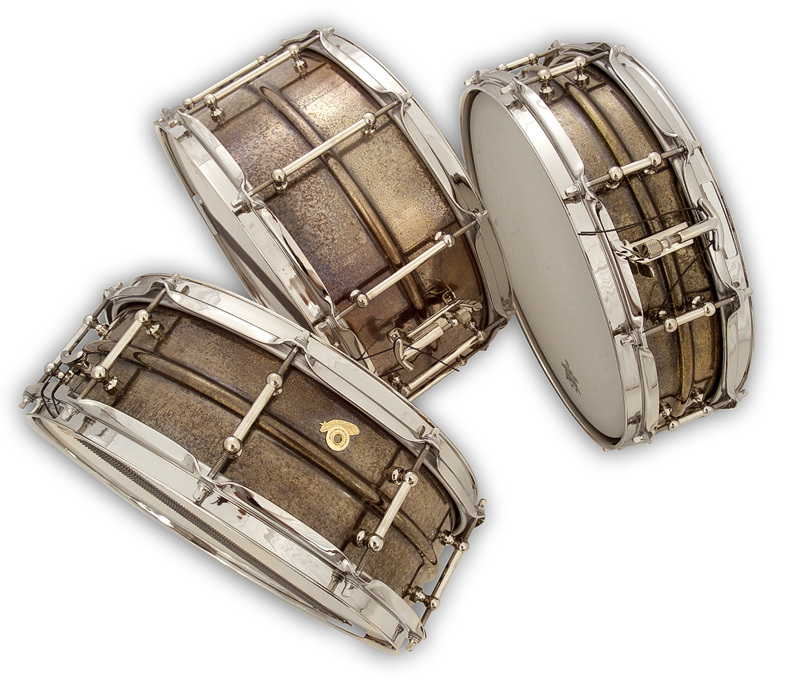 These drums are very similar in timbre to the vintage snares from the late 1920’s and early 1960’s instruments, as a result of the thinner shell construction. The slight variations in shell thickness result in more midrange and low-range frequencies with added warmth. The Studio Line copper is also powerful, yet intimate and approachable in both ensemble and large venue settings. The register is very balanced in all tuning ranges, as are all Studio Line snares, making it extraordinarily well suited for recording and studio applications, as well. 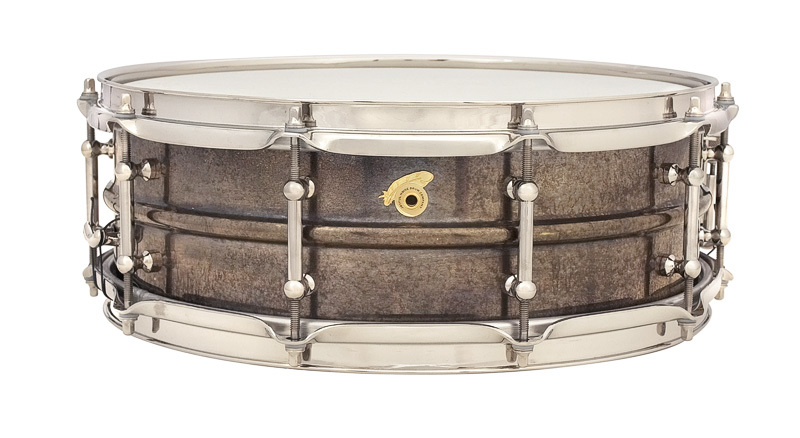 Once the Studio Line copper shell is hand-selected, the bearing edges and snare beds are finished by hand in order to refine and optimize the sonic performance. 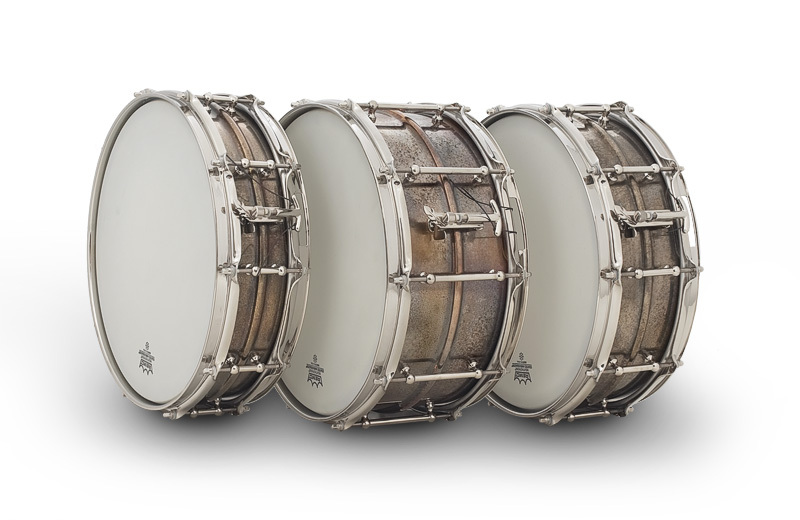 Finished with a pure silver patina and heat-sealed in 100% Carnauba wax, the copper Studio Line celebrates the legacy of vintage instruments highly prized by recording and performance artists. 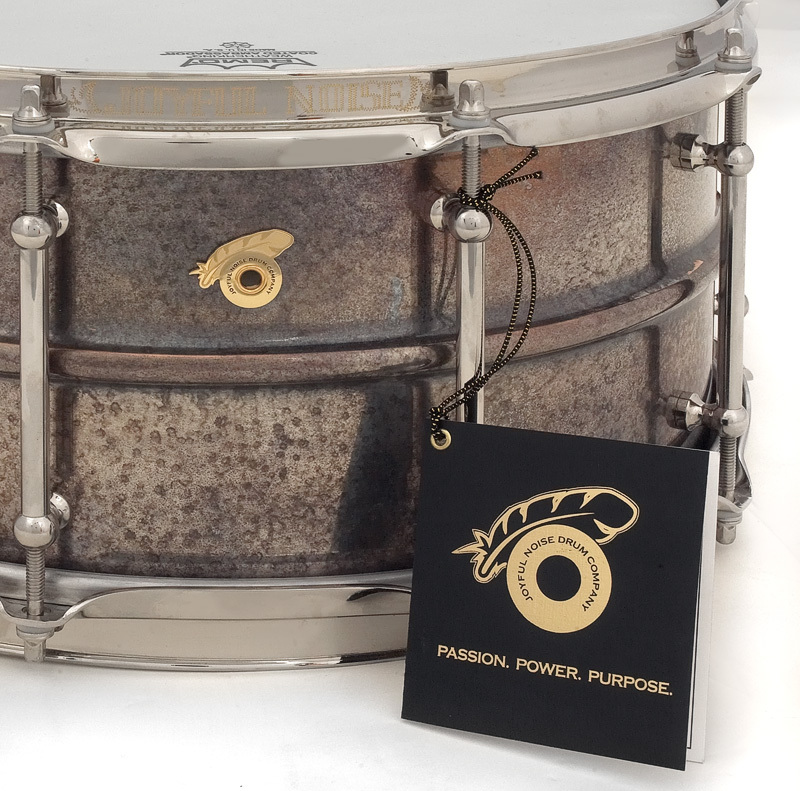 The Studio Line copper shell model design and hardware consist of 2.5mm solid brass bright nickel-plated triple flanged hoops, ten solid brass bright nickel-plated Corder tube lugs, bell-flanged bearing edges, vintage-inspired crimped snare beds, 24k gold-plated brass JNDC feather motif drum badge, and the bright nickel-plated proprietary cast bronze JNDC “One Touch Classic” snare drum strainer (throw-off) system. A certificate of authenticity, serialized lapel badge, JNDC Strainer Tutorial DVD, and a complimentary embroidered soft shell case accompany each instrument. 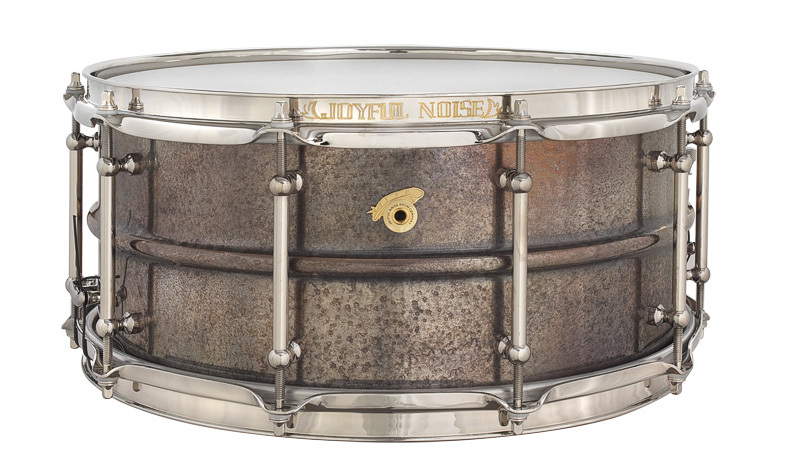 The JNDC Studio Line copper shell model is only available in a 6.5x14 size. 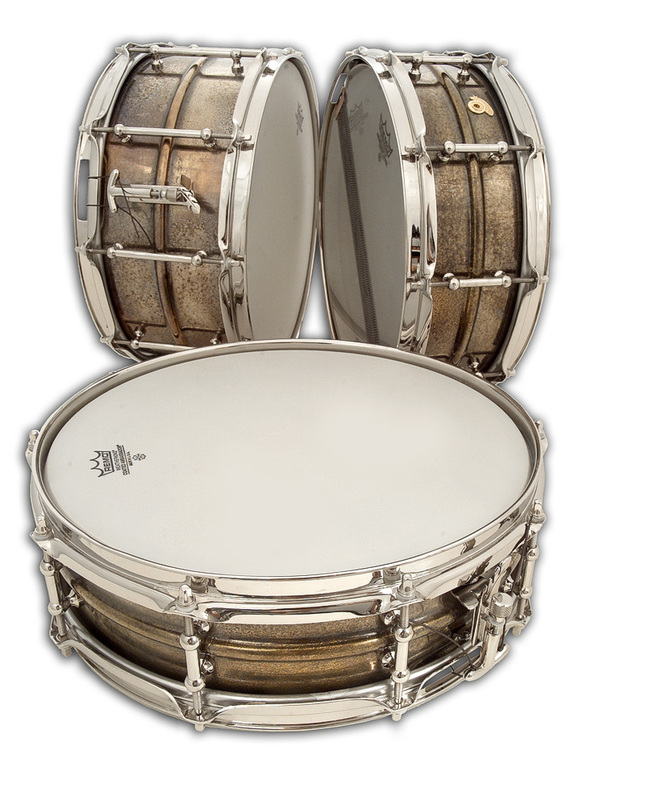 5x14 and 4x14 shells are currently thicker configurations, similar to the Conquered series.